Cutting boards are essential to everyday kitchen meal prep, and this one is sure to bring style and function to your space. 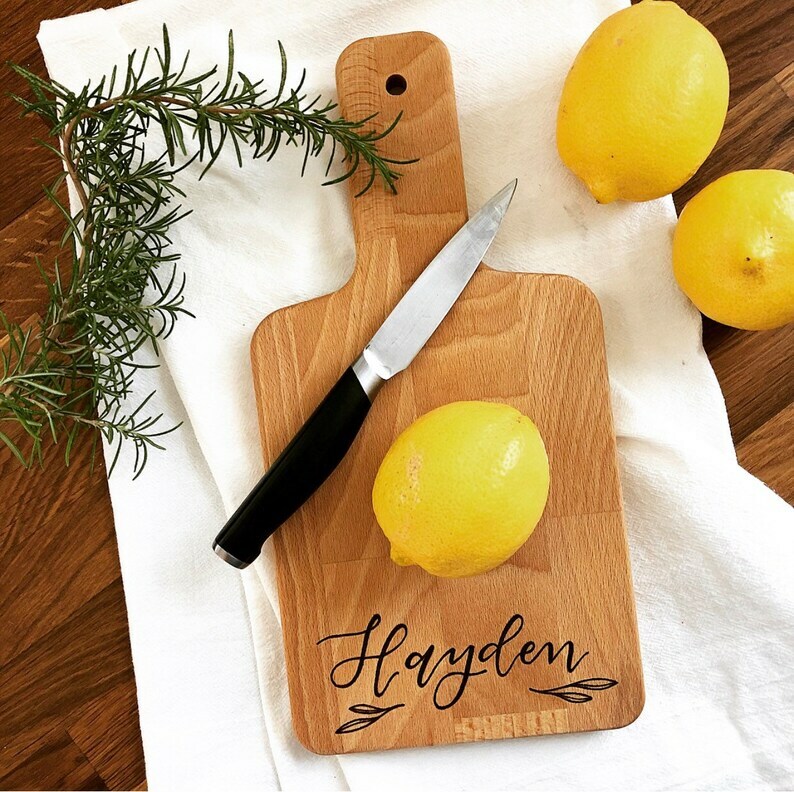 This board's design is lovingly lettered and wood burned by hand according to your personal name of choice. It's the perfect size for cutting and preparing small fruits and vegetables. Please leave name of choice in the “note to seller” section at checkout. This is the cutest cutting board ever! The wood burned lettering is impeccable. This will make the best Christmas gift ever and I will definitely be back to order more from this shop! Thank you So much! I love it!! Super fast shipping too. I ordered a personalized cutting board as a Christmas gift for my MIL. Emily's work is gorgeous and I am so excited to see my MIL's reaction when she opens this fabulous gift. Perfection!! I love ordering from this company. Very fast service and the work is perfect. A wonderful small business! Thank you for my cutting board!